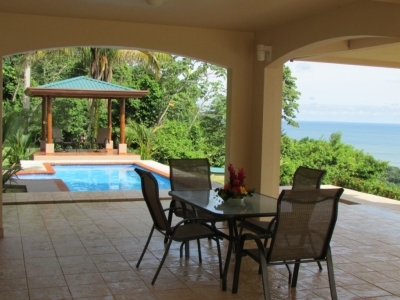 25 ACRES – 3 Bedroom Sunset Ocean View Home With Pool In Gated Nature Community!!!! 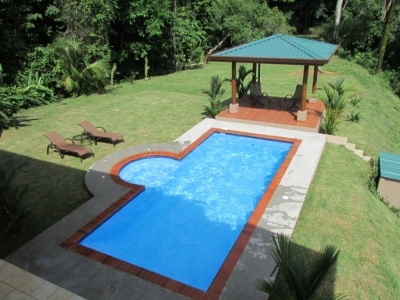 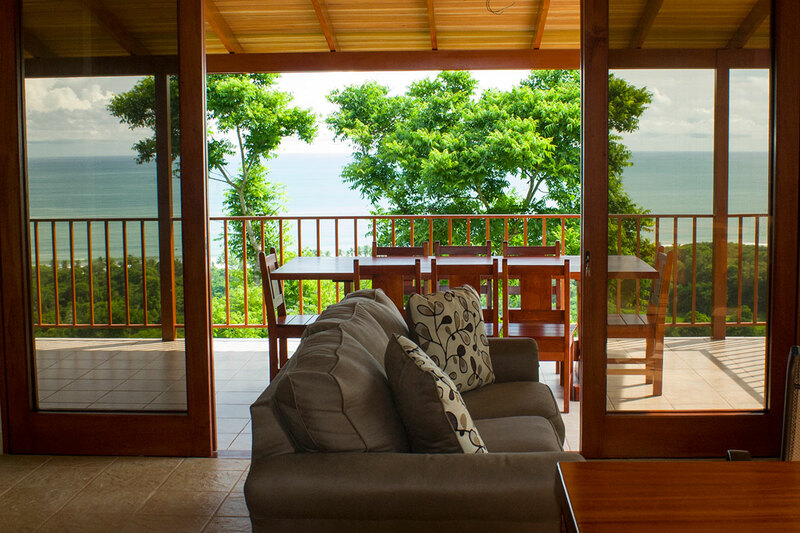 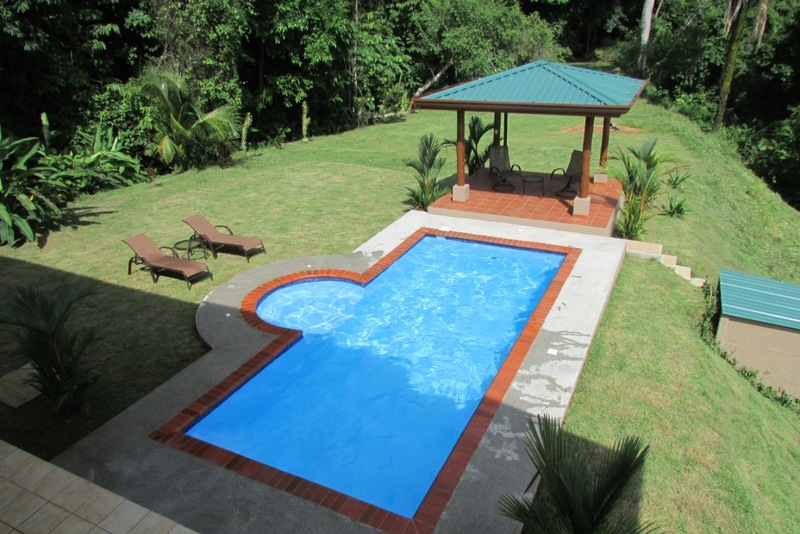 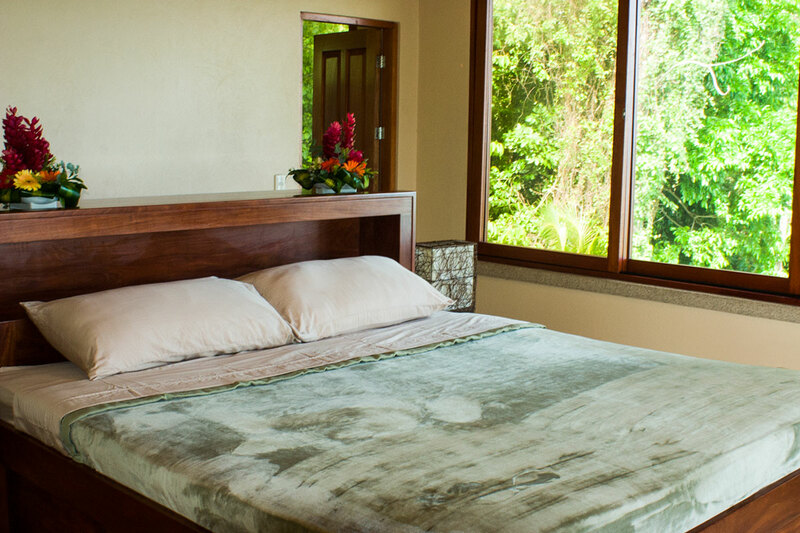 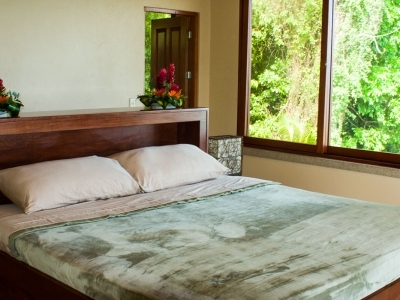 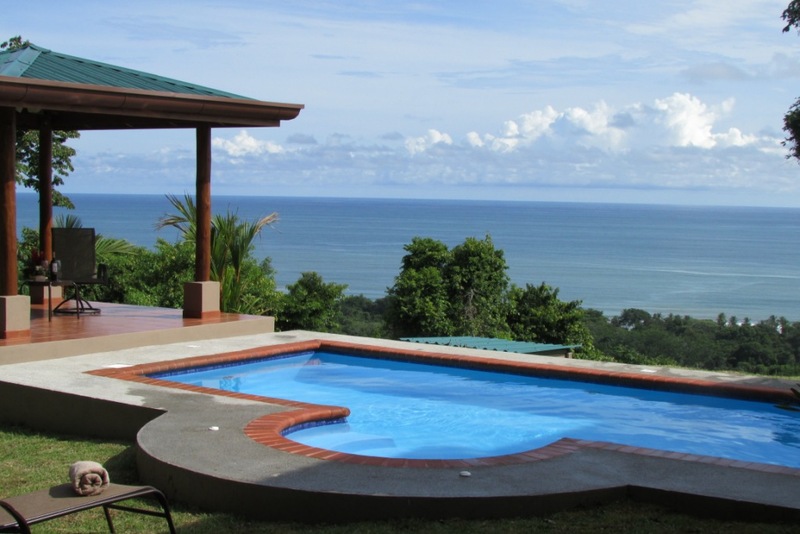 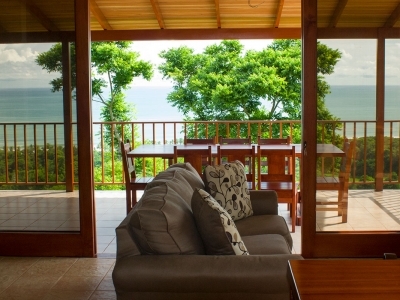 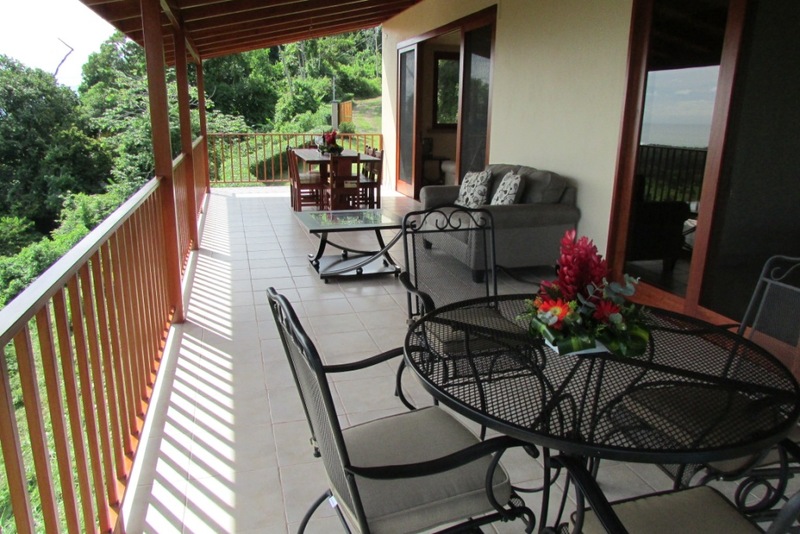 If you love nature and are looking for an incredible property absolutely teeming with native Costa Rican wildlife, this is the perfect place for you. 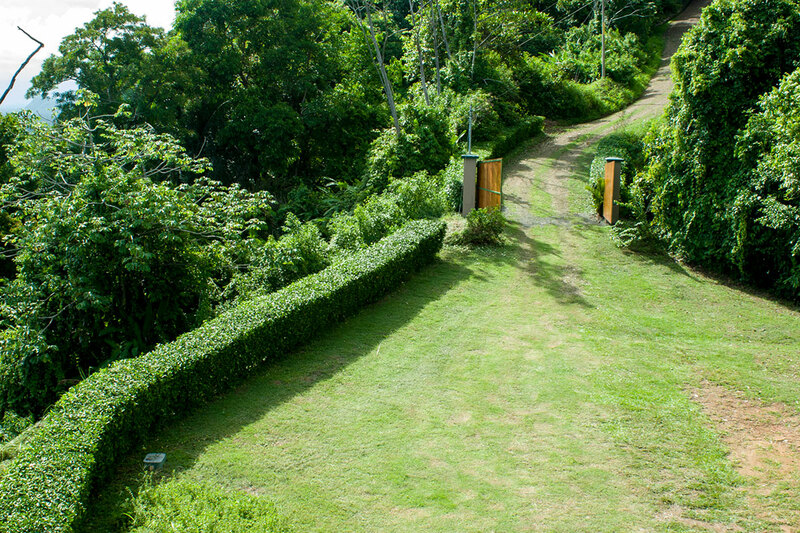 Situated on 25 private acres and directly bordering a nature reserve called Hacienda Baru, there is good reason why we have seen more wildlife here than on any other property we have managed over the years. 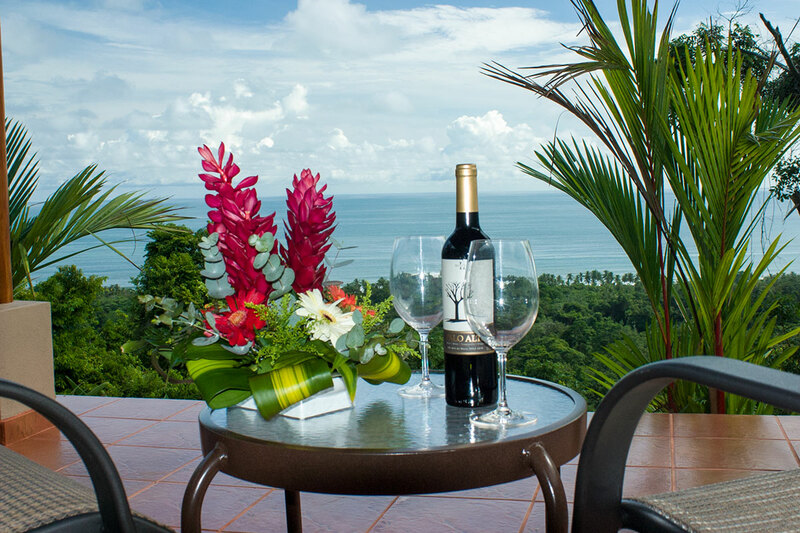 The Hacienda Baru is primarily comprised of 830 acres of primary and secondary rainforest that stretches from the mountains to the ocean. 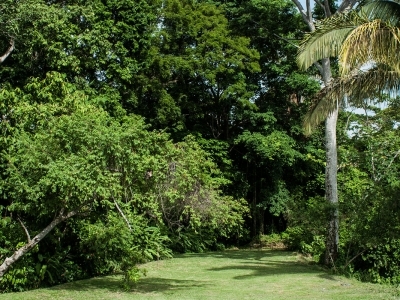 Since animals don’t care about property lines, this unique 25 acre property essentially becomes a natural extension to the Hacienda Baru Nature Reserve itself. 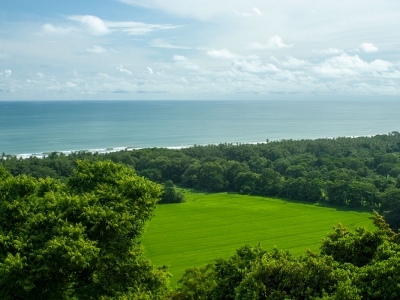 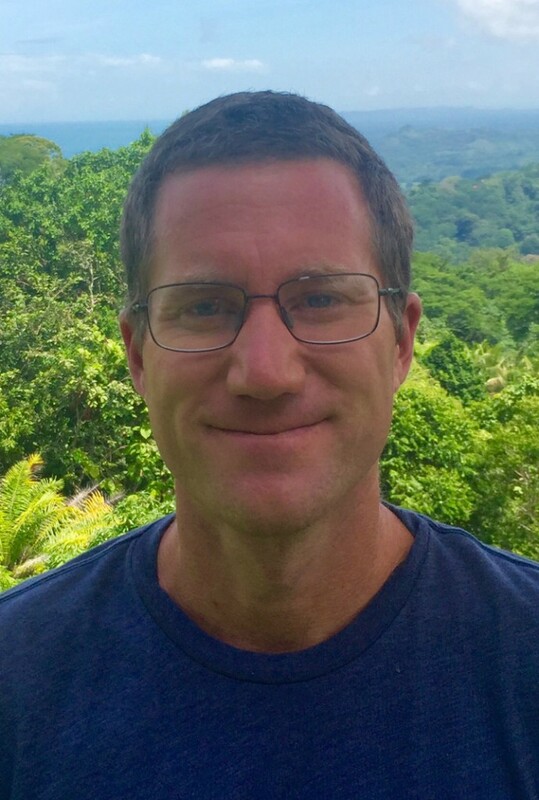 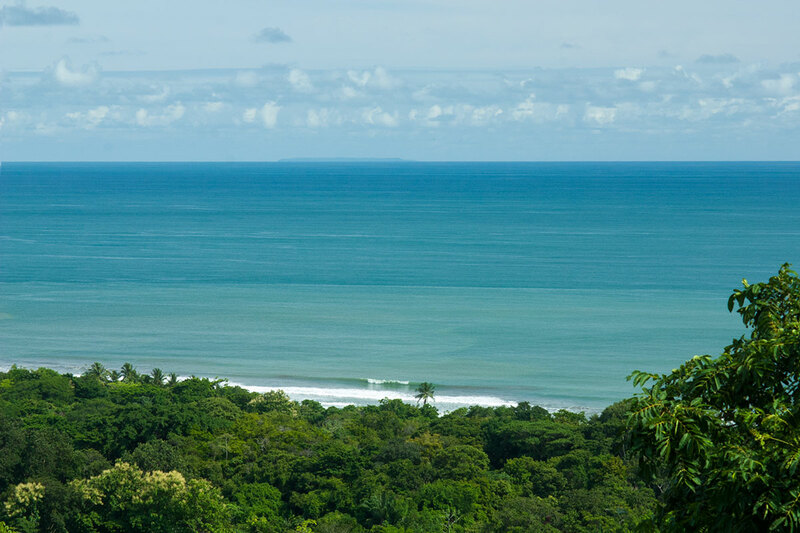 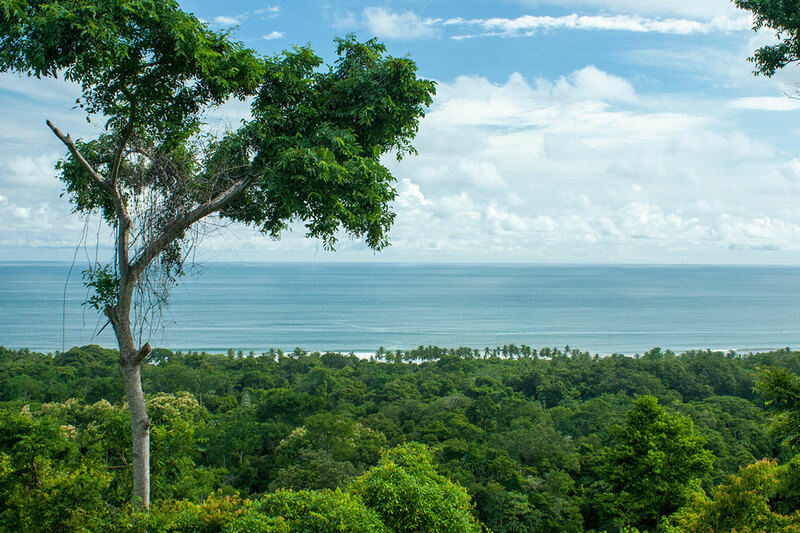 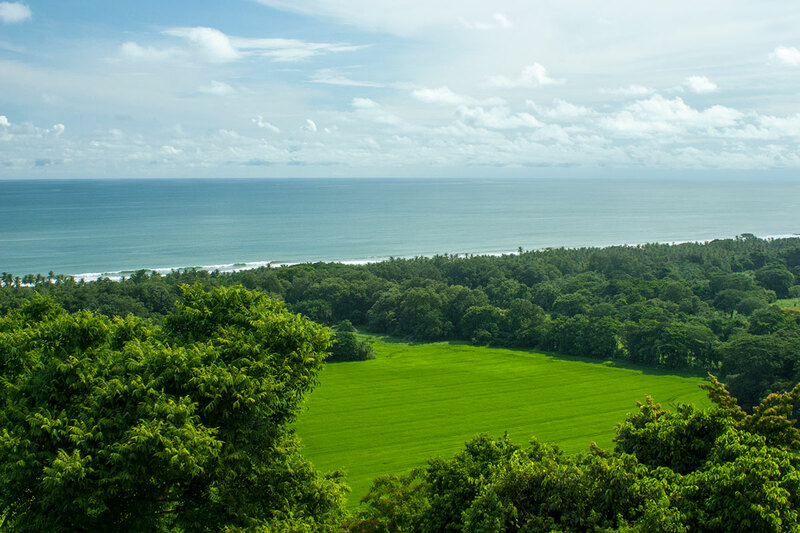 Located only 5 minutes north of Dominical in an upscale, gated enclave called Guapil Estates, the community adds another 350 acres of private rainforest reserve to the mix, thereby putting this private 25 acre property in the path of an incredible 1,200 acre wildlife corridor! 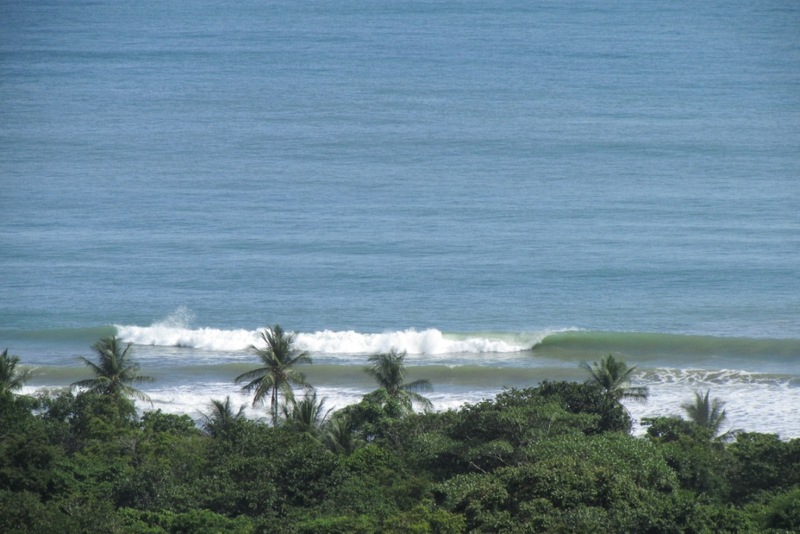 Another great benefit to the property is the prime front row location. 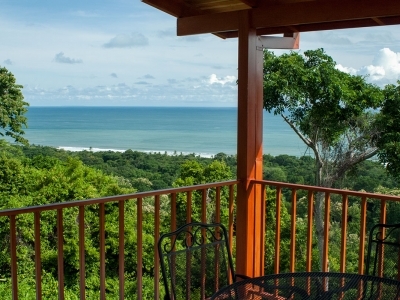 You can watch the waves roll into the palm lined tropical beaches of Playa Guapil and up the coast to Manuel Antonio National Park. 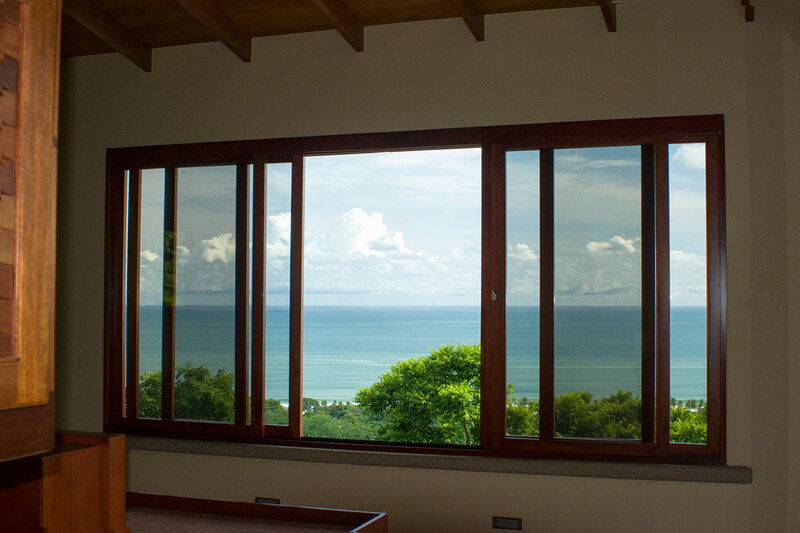 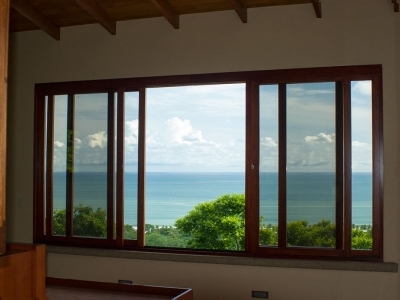 Ensuring that your prized ocean views will never be obstructed, the property is fully titled so you will have control over the land directly in front of you. 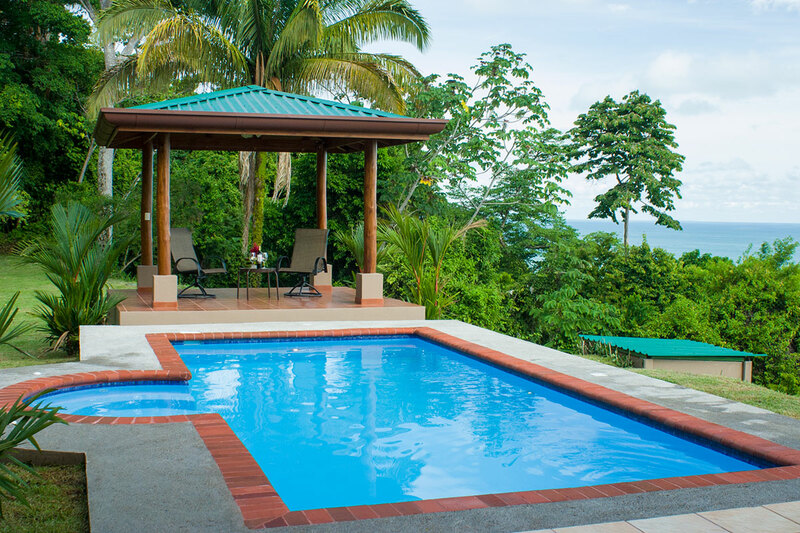 The home was originally built in 2009 and completely remodeled in 2014 with a new pool, carpentry, kitchen, windows, doors and furnishings. 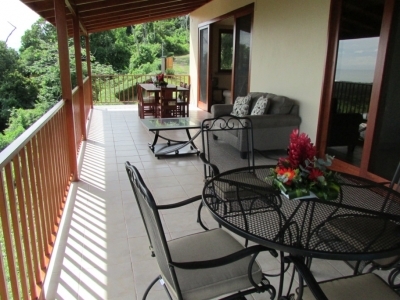 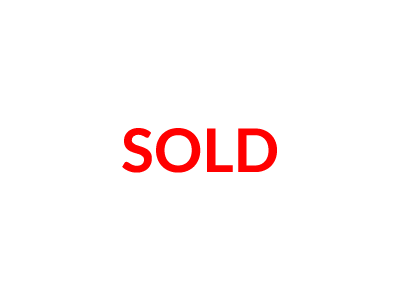 It has been functioning very well as an income producing vacation rental ever since. 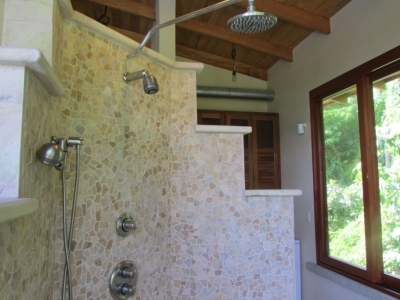 The first level includes covered parking, a large patio and a lock down storage room. 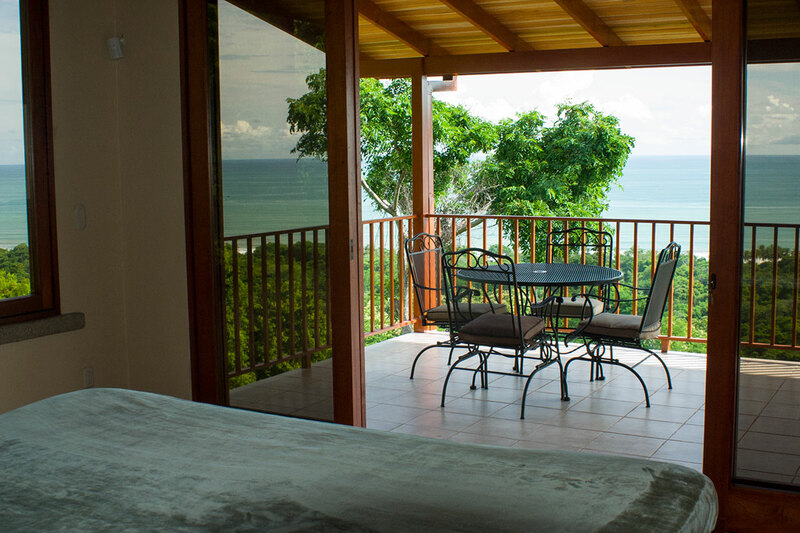 The second level includes a fully equipped kitchen, a comfortable living room, 2 spacious bedrooms with private baths and a wrap around balcony that is the perfect place to watch the animals and enjoy the incredible ocean views. 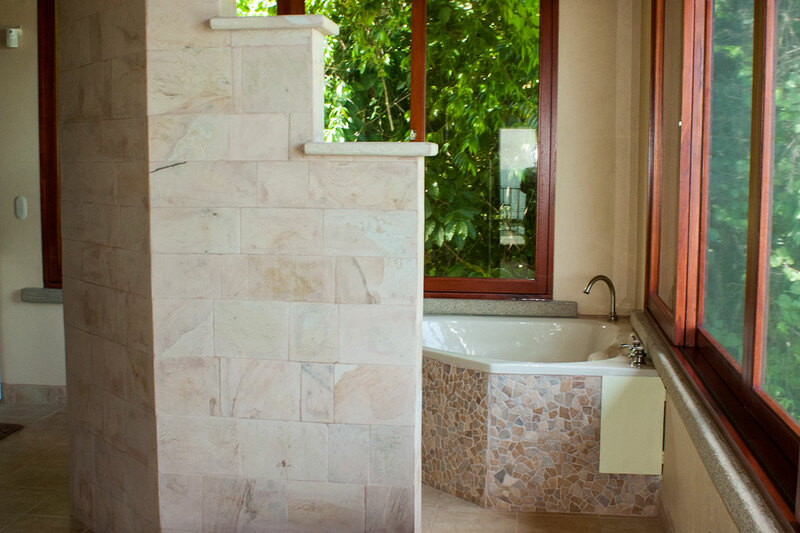 The third level offers an elevated treetop vantage point and includes another private bedroom, bathroom and kitchenette. 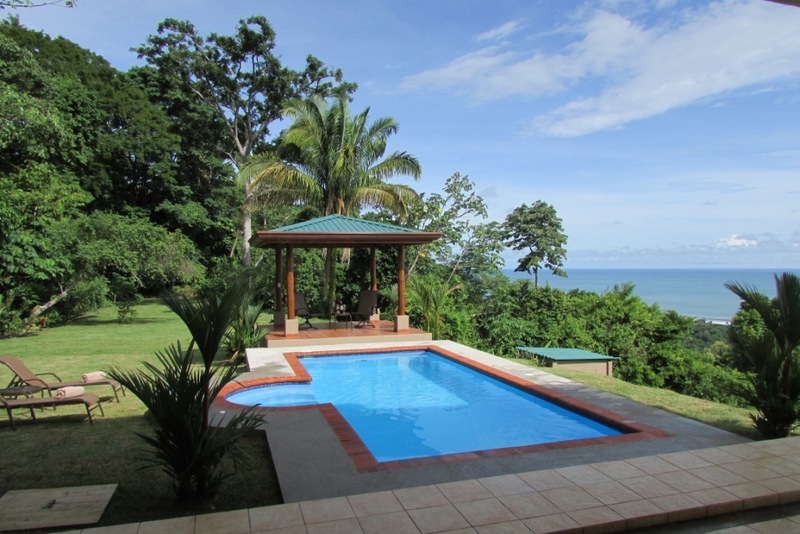 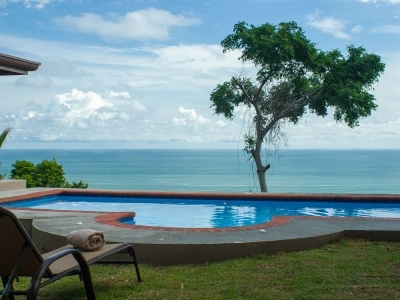 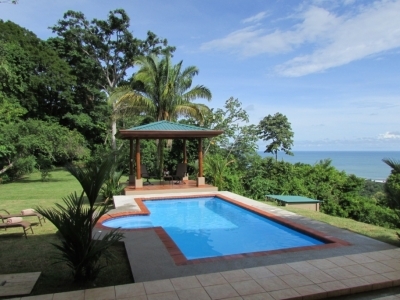 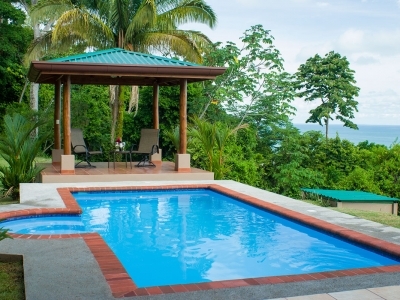 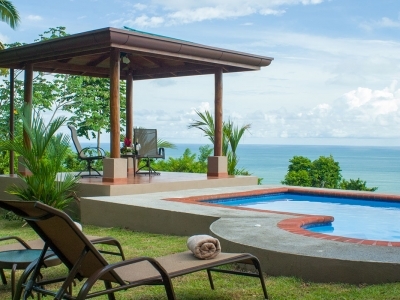 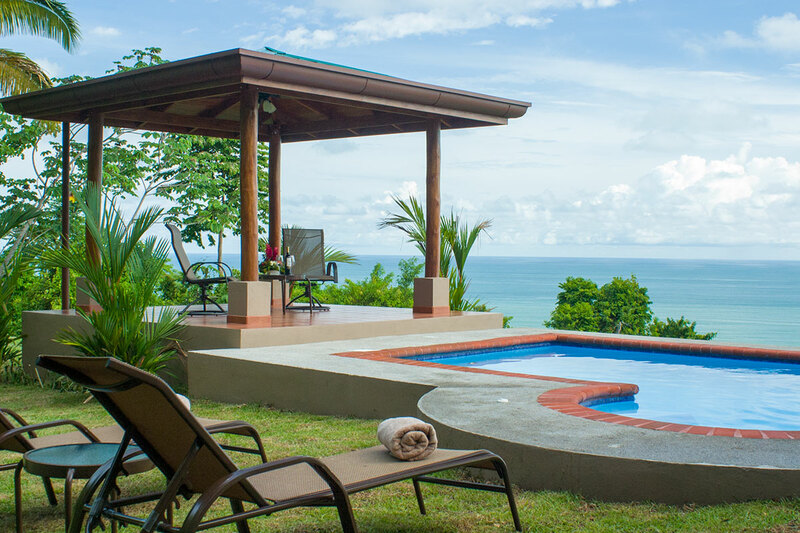 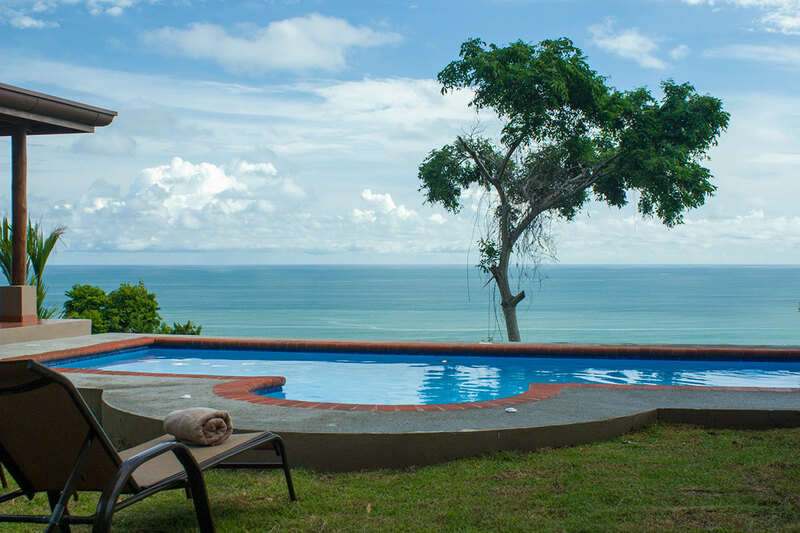 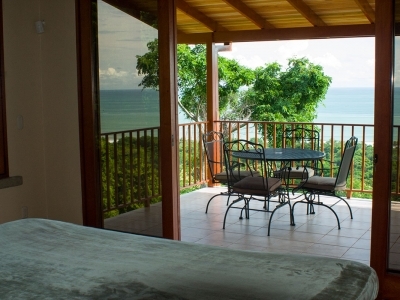 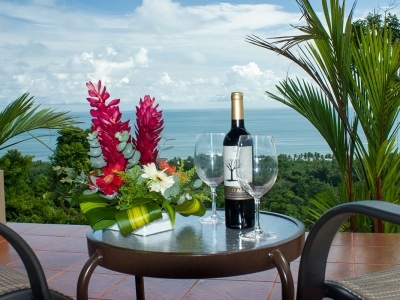 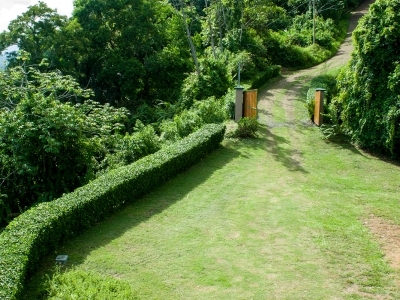 The grounds include a beautiful ocean view pool area with gazebo and large garden areas ringed by dense rainforest. 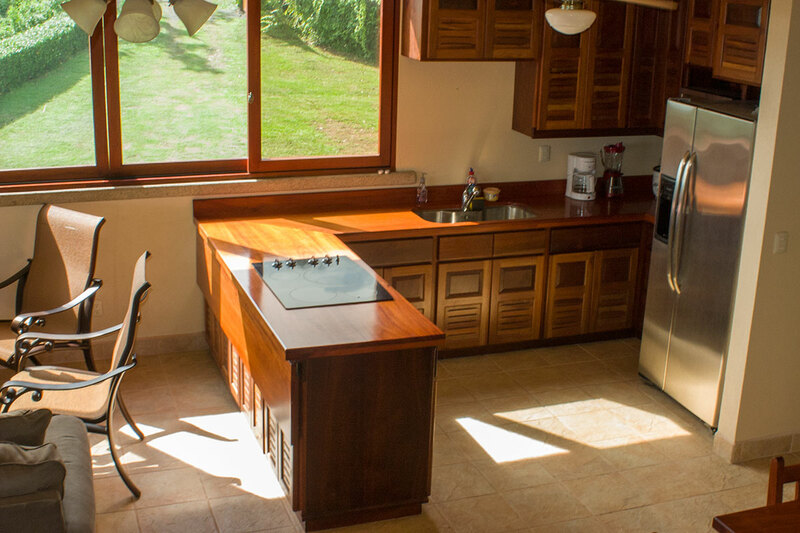 If you are looking to do more with the large amount of flat, useable space, the property offers multiple opportunities for expansion. 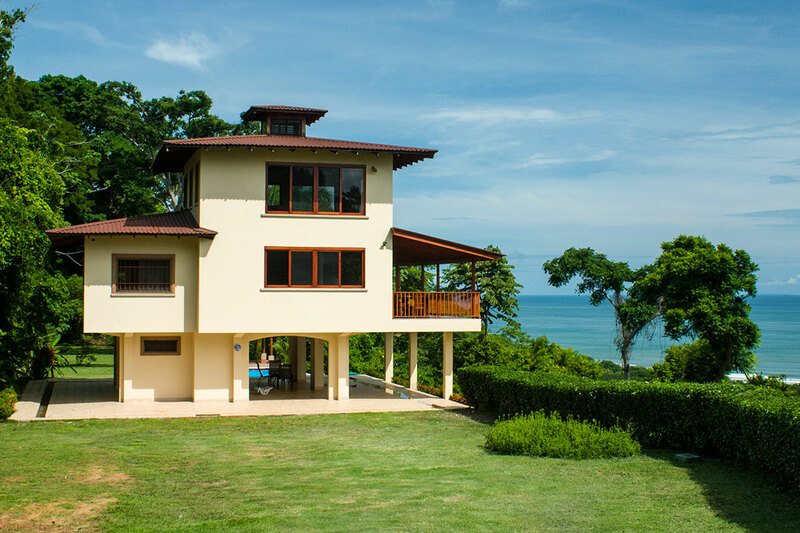 The current home only takes up a small footprint on the primary building area so you can easily add more rooms or build other homes / structures of your choosing. 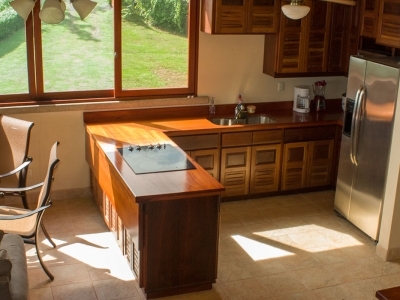 For those not looking to expand right away, the property is currently generating an income with rental marketing and property management services in place. 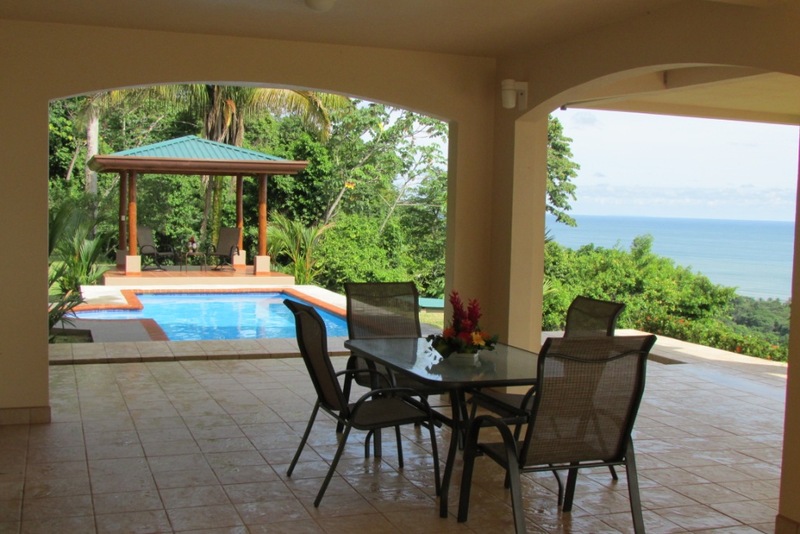 As this furnished, turn key home generates a steady income, we are confident that this very unique property will appreciate in value. 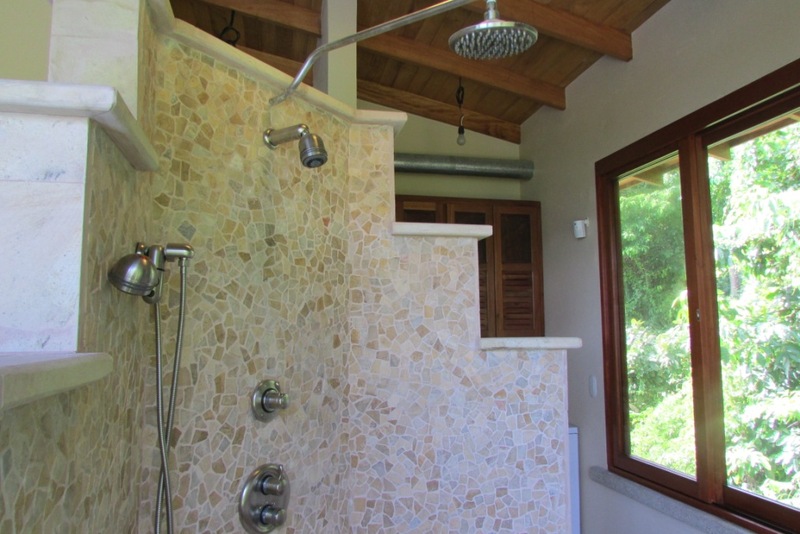 If you are curious about other homes in the community, the closest neighboring property is an upscale vacation rental on 12.5 acres currently listed for $1.3 million dollars. 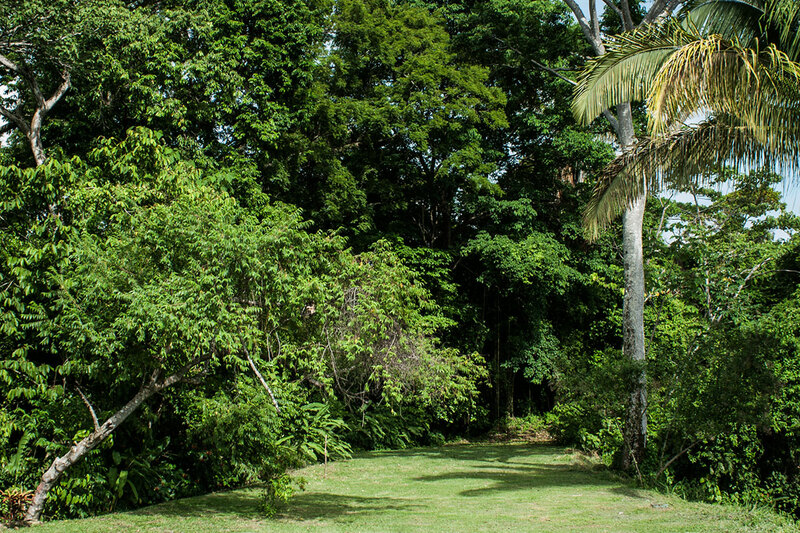 With double the land and an asking price well below a million dollars, we think this property has tremendous unrealized potential. 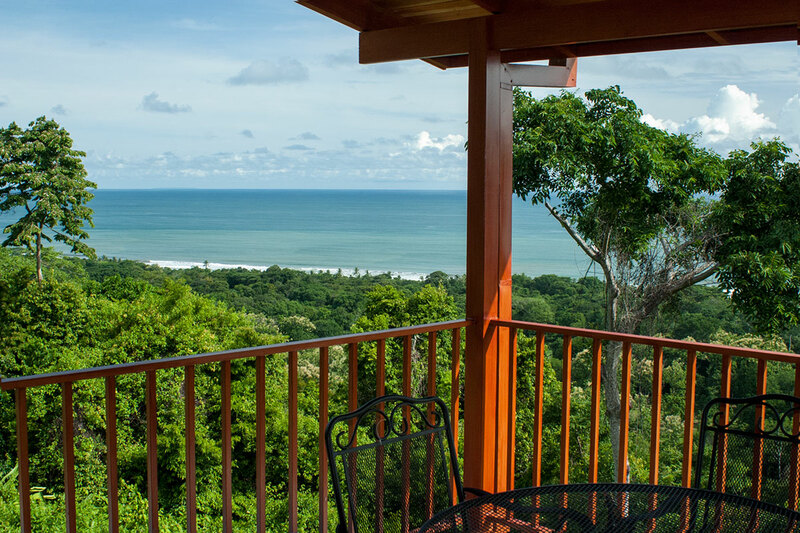 As the Dominical area grows in popularity, Gaupil Estates is becoming a hot spot for wealthy expats and corporate executives looking for the perfect place to build their luxury vacation getaways in Costa Rica. 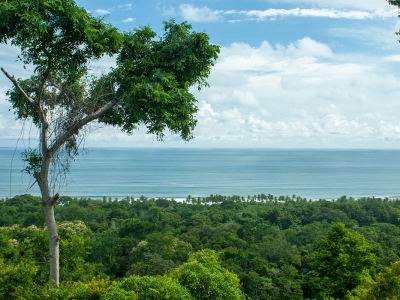 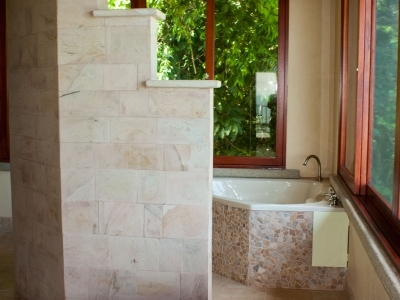 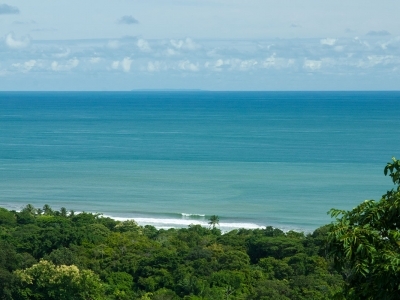 The community is only minutes from the beach, offers modern conveniences, solid infrastructure and meets the needs of those seeking properties in Costa Rica that provide everything people imagine when coming to the country – ocean views, green rainforests and exotic wildlife situated in a very private and peaceful setting.